Reporters of Bivol detected overnight felling in a century-old forest in Park Strandzha. In the wee hours of the night, trucks, filled with unmarked timber, are circling around. 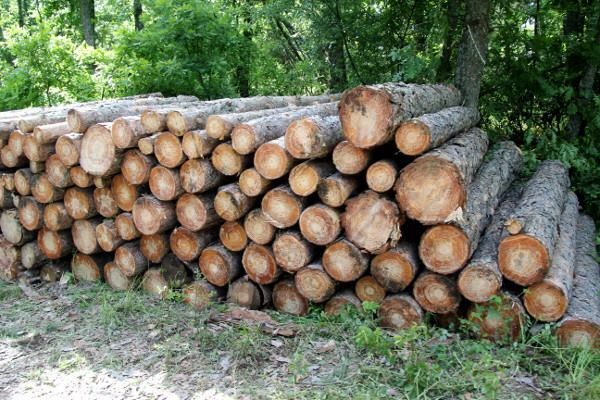 According to information from forestry employees, the same trucks unload at the port of Burgas and the century-old logs are being delivered in Turkey. Amendments, with new requirements for regulated and sanitary felling, were adopted in 2011. According to the Executive Forestry Agency (EFA), felling is fully within the law, but in the last three years six separate companies are operating under the latter’s oversight. The Agency, itself, is a body under the Ministry of Agriculture and Food (MAF), and a designated deputy minister of agriculture has always been in charge of it. When the Socialist-endorsed government of Plamen Oresharski came to power in June last year, financial statements and parameters of regulated felling have not been mentioned anywhere and the Ministry is refusing to provide information. The current situation has not changed significantly, but the new caretaker Deputy Minister Georgi Kostov is someone who fully understands the problem and has promised that, if he was to serve a full term in office, he would revise the current disastrous State policy in our forests. The footage shows the total rampage and looting of Natural Park Strandzha… When entering the Park, things seem calm, but in the inside, near the villages and Evrenozovo and Bliznak, the site resembles a moonscape. The Forestry in Zvezdets is in charge of felling in this area. As it can be seen, works with heavy equipment with chains are being done in the “Park” and the whole area is excavated. The felled logs are scattered all over the road, from the village of Bosna to the town of Malko Tarnovo; the sites near Gramatikovo Zaberno, Vizitsa, Byala, and Slivarovo are also in horrifying shape. The sound of chainsaws can be heard everywhere and all the time. Trunks of 200-year old oak and beech trees and randomly scattered branches have formed an ominous wall on both sides of the road, tens of kilometers long. These logs are being prepared for transportation. Deep in the woods there are hundreds of felled trees waiting for someone to buy them out. And half of them are unmarked. We meet local people and ask about the company that is felling in the region – “We work for the company “Dubrava “, but with us everything is in order,” explain two gypsies walking along with a cart. Felling is also being done now in the unique natural area” Kachul “- in the heart of Strandzha. We do not even need to ask now WHO allowed historical Bulgarian forests to be destroyed and turned into profit for the oligarchs. Orhan, Ali, and Gyunser – these are three partners who for years kept the plot near Gramatikovo. The company, which legalized its business in our country, is called “Orphi”. The fact that it is associated with the party mainly representing the Turkish minority in Bulgaria – Movement for Rights and Freedoms (DPS) – is an open secret in the area. This is also how we interpreted the words of local people that Strandza’s forest has disappeared in Turkey, in the coffers of companies associated with the above-mentioned political party, which for many years now rules over our land and our forests. All felling, whether in municipal or State forests, is controlled by the Regional Forestry Directorate in Burgas. We ask ourselves another question – WHO is the owner of the hunting fields marked with signs prohibiting even passage of people? We see them all over the Park as sinister fiefdoms illegally banning access of citizens to the mountain. We wonder if someone dares to trespass, would they become a shooting target or will they have to face mob law with thick-necked bodyguards. Surely, no one can walk around the “Park”; go for a family picnic, or just hike in nature. Everywhere one can see only disgusting clearings and feel the tension of a possible attack if one unwillingly steps beyond the tugs’ hunting grounds limits. In the poorest and most miserable country in Europe, however, this routine is tolerated by society. The other big problem is that firms that have received a concession for felling in Strandzha’s legendary forests use as workers the so-called “Gradeshnitsa Gypsies”. These teams organize their camps in the heart of “Park Strandzha” and cut down its forest while living in the field. During the months of their residence, each campsite becomes a huge illegal landfill because everything is dumped around uncontrolled – in ravines, rivers, meadows, in the bushes. When the felling is complete, a landscape remains that can hardly be tolerated by a normal human being – devastated and destroyed nature, and divine beauty replaced by a stinky large-scale landfill with tumbled campsites, plastic, mattresses, rotten blankets, human and animal excrement everywhere and everything one can imagine. At a meeting with Minister Zhekova in the Ministry of Environment and Waters about two weeks ago, it became clear that no one controls the companies-concessionaires over environmental pollution. Ministerial officials cynically replied that they lacked resources to monitor such crimes – personnel, money, cars, gasoline, etc. In short, the Ministry cannot fulfill its basic mission for which it exists after all. Contracts of EFA with companies-concessionaires in deforestation were also missing a clause to not pollute the environment, thus officials don’t hold Gypsies accountable for what they dump and where. It also became clear from the meeting that local communities do not care about the problem at all. The result of this absolute abdication of the State from the conservation of our natural wealth is a devastated nature for generations to come, and hence, permanent deprivation of the melting population of any alternative livelihood. The future of such criminal State policy is economic and demographic desolation and cataclysms caused by the indiscriminate felling. The recent apocalyptic deluges are just one of the penalties which nature gave as us since the criminal Court is not working.